I’ve been working with Microsoft over the last couple of months to try and resolve a problem entering Latvian characters into Office 2013, and the results were quite surprising. First, some background. The Latvian language, like many others, includes diacritic characters. These are characters that include a diacritic mark, a glyph added to a letter to produce a different sound. Examples are ā (long a sound), š (soft sh sound) and ē (long e). For Latvians living abroad, standard US and UK keyboards don’t include a way to enter these characters so they require a modifier key be used. Microsoft have supported these characters natively using the keyboard layout ‘Latvian (QWERTY)’. This maps the right side Alt key into a special key called AltGr (‘Alternate Graphics’) – the equivalent of holding down Ctrl at the same time as Alt. So to create ē you use right-Alt + e, š is right-Alt + s and so on. These can be tested with Notepad and enable pretty fast typing with no additional software other than Windows. This Microsoft support article indicates it was supported way back in Office 2000. Now, enter Office 2013. Office 2013 is only version you can currently buy with a new PC. Changing the keyboard layout and using the keys above still works fine in Windows for Notepad and Wordpad, however not so in Office. These applications ignore the ‘Ctrl’ part of the right Alt key with the Latvian (QWERTY) layout, and act as if you’ve pressed the regular old Alt key. So for example in Word 2013, instead of entering the character you want Word displays all the shortcut tooltips in the ribbon, or worse. To confirm that we’re using the expected keys, you can check using Word’s ‘Insert Symbol’ dialog box. This visually displays all the characters including the ones with diacritic marks, allowing you to choose them with the mouse. Interestingly enough, it also displays the shortcut key to insert a particular symbol, e.g. for ē it displays CTRL + ALT + e, as we expect. But try it – using either right or left Alt keys and Ctrl plus the letter and you’ll be disappointed; it acts as if CTRL hasn’t been pressed. I logged a case with Microsoft about this, and after many tries to convince them there was actually a problem, they ended up escalating it to their engineering department to run their own tests. They said they tried different operating systems as well as the Proofing Tools and Language Packs (these are for different purposes). After much back and forth, they called and the end result? It’s not possible with Office 2013. Microsoft recommended either downgrading to Office 2010 if you can find it or to either use the terribly slow techniques such as the Visual Keyboard (typing with the mouse!) or by using 3-digit numeric codes on the numeric keypad for each character. Yuck! So what’s the solution? Third-party software. 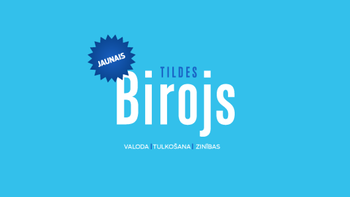 The best Latvian language software out there has to be Tilde Birojs. Their latest version is 2014 and indeed, this provided the final solution to our problem. Tilde Birojs uses the ‘ key as a modifier which is even faster than Ctrl + Alt, and on install makes sure everything is setup for the user. At AU$84 per year or AU$150 for a perpetual license it doesn’t come cheap, however it does offer a lot more than just diacritic character entry, including multiple dictionaries, grammar checking and translation. It’s unfortunate that Microsoft can’t get this right for users that only need Latvian language entry. But if you’re serious about your Latvian, then Tilde Birojs is the way to go. UPDATE: Until 31st December 2014, Tilde is offering 25% off their pricing by using the coupon code UP21CYD on checkout. ← Apple iPhone/iPad backup to iCloud – make sure it’s on!